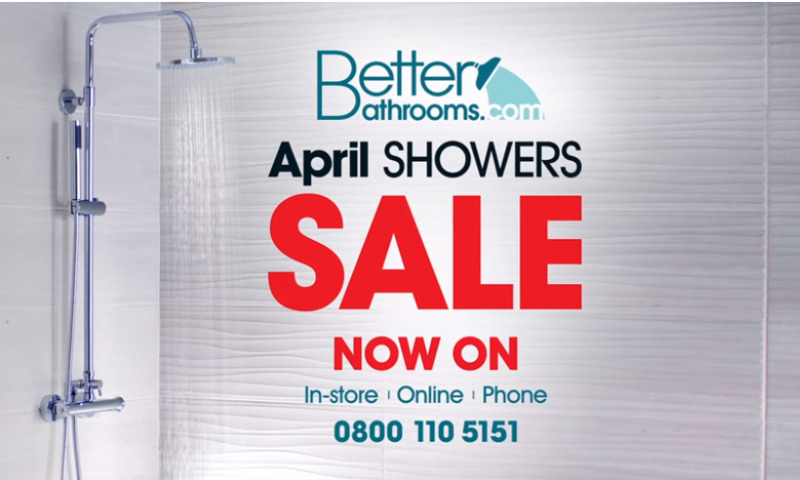 The bathroom retailer’s ‘April Showers’ campaign was deemed to have breached CAP code rules, with it unclear as to whether discounts promised were genuine. The ads in question referred to banners that detailed the retailer’s April Showers promotion, offering up to 70% off selected items, plus an extra 20% off specific product lines, including showers, enclosures and bathroom furniture, when consumers entered a specific promotional code at checkout. Rival retailer Victoria Plumb challenged whether the promotion presented in the ads was misleading, as the company understood that none of the “selected” products or categories were available with an extra 20% off. Better Bathrooms asserted that, in three out of four product categories, the number of products that were on offer with the additional 20% off outweighed the number of products that were not. It also said that, for one of the product categories, a significant proportion of products were available at 20% off, and provided spreadsheets and tables to support this. However, the Advertising Standards Authority (ASA) found the evidence confusing and, said “due to the absence of any further clarification from Better Bathrooms”, the information provided did not substantiate its claims. Better Bathrooms also hadn’t provided the ASA with the pre-sale prices of each item, as well as the amount that those items were discounted by, whilst Victoria Plumb reported that it had been unable to purchase items in the sale with the additional 20% off discount when using the discount codes stated in the ad. As a result, the ads were found to be misleading to consumers. The retailer is currently running a promotion offering up to 70% off, plus an additional 10% off until January 7, with the savings automatically applied at checkout. This promotion is unrelated to the ASA ruling.